While the weather outside remains anything but frightful in most regions of the United States this holiday season, it might be difficult to think about winter-proofing your home - but in actuality, now is the best time to prepare. Many winter-related disasters can be prevented if you take a few simple steps to protect your home from freezing temperatures, snow and wind, ice damming (rooftop ice build-up), and ultimately water damage and water flood damage. According to the Insurance Information Institute (I.I.I. ), melting snow can inflict significant damage to property - and winter storms are the third-largest cause of catastrophe losses, accounting for 7.4% of catastrophe losses nationwide from 1991 to 2010 (equaling $1.3 billion annually). The average water damage and freezing claim was $6,347 from 2005 to 2009, with such claims accounting for the second-most frequent cause of loss after wind and hail. Insurance Institute for Business & Home Safety (IBHS) president and CEO Julie Rochman says, "Proper maintenance and care is critical to avoiding significant property damage due to severe winter weather." Rochman and the IBHS offer the following tips for preparing your home for the upcoming winter weather and possibly preventing water flood damage. Our IICRC trained water cleanup specialists are qualified and have the equipment to handle any size water cleanup job. Clean out gutters. Remove leaves, sticks, and other debris from gutters so melting snow and ice can flow freely. Trim trees and remove dead branches. Ice, snow, and wind could cause weak trees or branches to break. Seal cracks in holes in outside walls and foundations. Use caulking to protect water pipes and make sure that skylights and other roof openings have proper weather stripping to prevent snowmelt from seeping in. Check pipes, looking closely for cracks and leaks. Waterproof basements and crawl spaces. Have the heating system serviced. Furnaces, boilers, and chimneys should be serviced at least once a year to prevent fire and smoke damage. Keep the house warm. 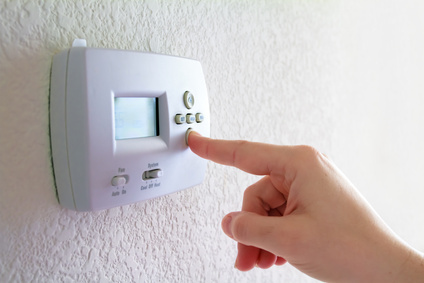 Set the thermostat for at least 65 degrees - since the temperature inside the walls, where the pipes are located, is substantially colder, a lower temperature will not keep the pipes from freezing. Call AdvantaClean at 877.800.2382 to set up a mitigation consultation. AdvantaClean offers emergency water flood damage services 24/7/365. More info? For information on what to do in the event of water damage, read our post: Water Flood Damage 101.